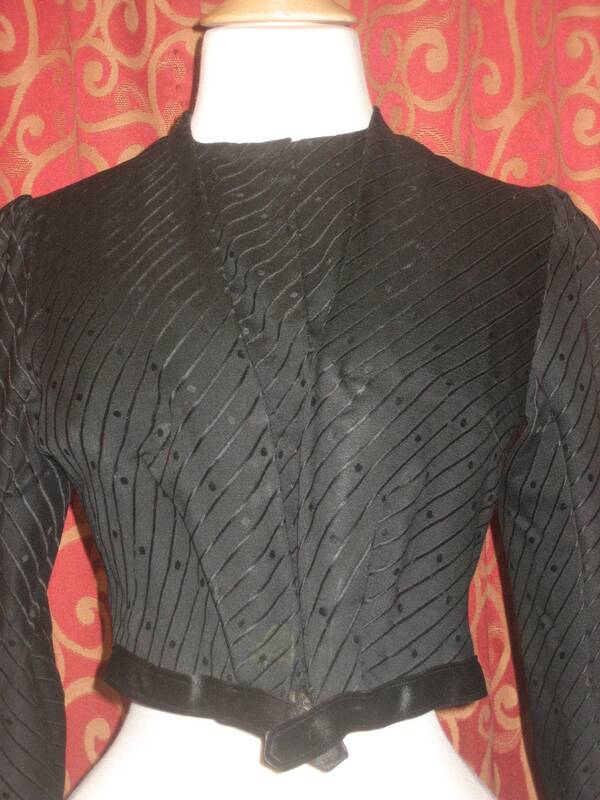 1890's, 34 bust, fine wool, Art Nouveau design, black wool bodice. 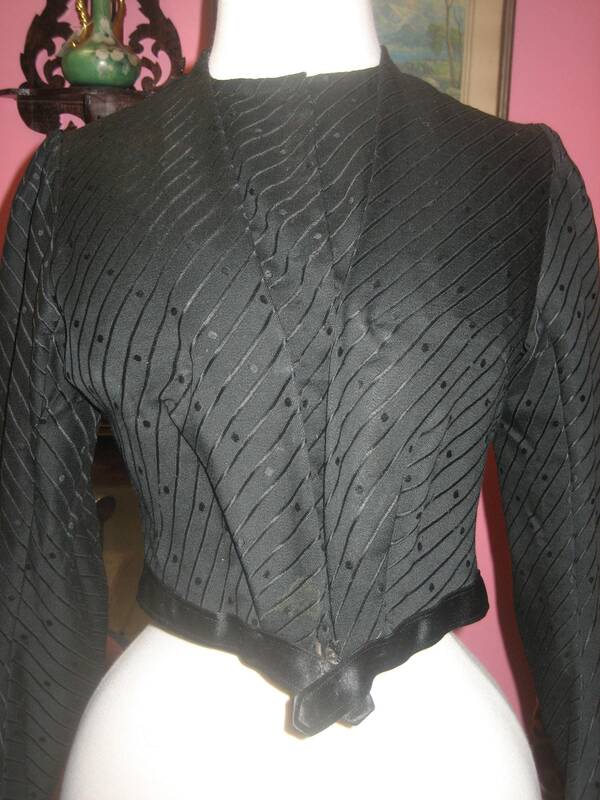 1890's, 34" bust, fine wool, Art Nouveau design, black wool bodice. 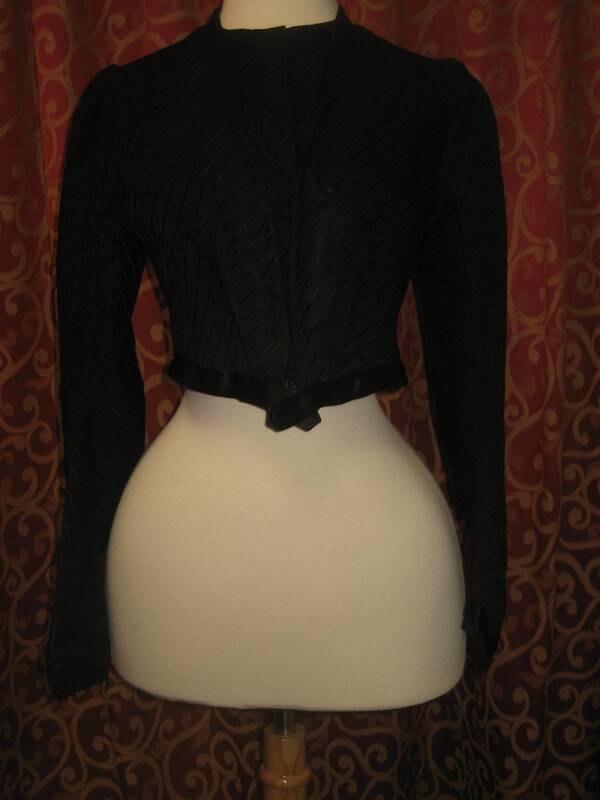 1890's, 34" bust, fine wool, Art Nouveau design, black wool bodice. Design of material is of thin lines interspersed with black silk dots. Bodice is faceted with a double row of hooks and eyes. Inner row is part of short front vest. Interior of bodice is lined in pale tan printed chintz. Covered stays of tortoise shell stays are placed throughout interior of bodice, Sleeves are long, tapered at forearms and puffed at shoulders. 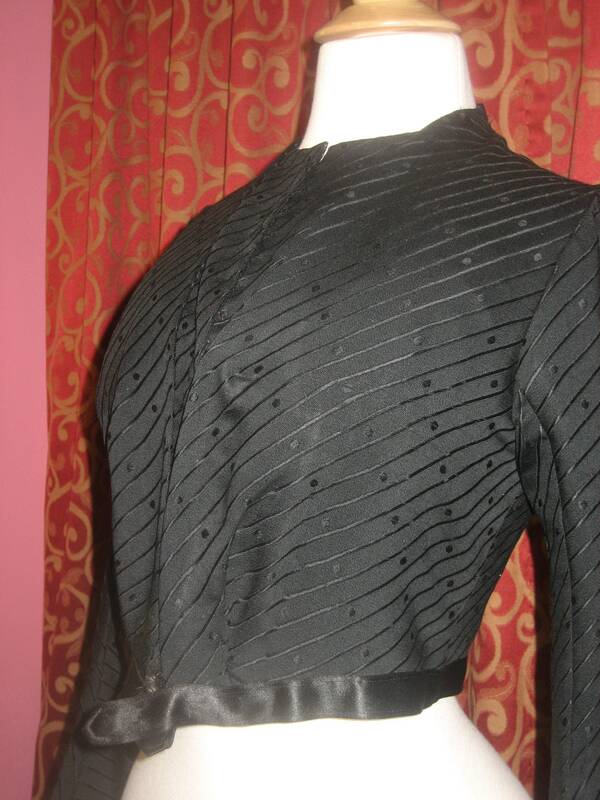 The front of bodice is pointed at waist.